MOCA is partnering with Bullfrog to help financial and insurance entities better understand their customers, allowing them to design financial products based on their profile, as well as providing a better experience through a more personalized set of services. MOCA, a location intelligence and marketing automation platform and Bullfrog, a leader in innovation consulting and experts in the areas of fintech and insurtech, have signed a partnership agreement with the commitment to offer complete technology solutions to the financial services and insurance industry. 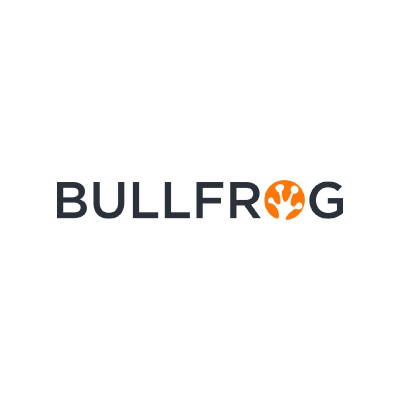 On the one hand, Bullfrog provides its expertise and applies multiple technologies, offering innovative solutions to financial institutions and the insurance industry, both through the implementation of their products, or other specialized consulting services. And on the other hand, MOCA allows companies to offer real-time customer analytics based on their location and other attributes such as their behavior, interests and mobility patterns. In this way, MOCA increases the effectiveness of campaigns because it provides hyper-targeted messages, responding to the specific needs of the customers. “MOCA partnering with Bullfrog represents a strategic alliance that opens a channel to bring financial institutions closer to Big Data technology and geolocation” explains Maria Fernanda Gonzalez, CEO and co-founder of MOCA. In addition, she specifies that "The future of transactions relies on geolocation and micro-location, as they enable to obtain valuable information from customers. It allows financial and insurance entities to focus on developing customized actions and targeting the right audience, achieving at the same time, successful campaigns and customer satisfaction." Bullfrog Ventures is an Innovations Incubator and Consulting firm, focusing on game-changing opportunities that deliver substantial business growth and efficiencies. We take a hands-on/entrepreneurial approach every step of the way to ensure success. We drive ideas and translate them into solutions partnering with our customers to ensure the end results are exactly what they need to differentiate themselves in their Markets and Sectors. MOCA is an award-winning location intelligence and marketing engagement platform based on machine learning. MOCA connects the online and offline world allowing companies to personalize, segment and deliver communications across the mobile and web channel. With real-time segmentation, online-offline retargeting, personalized recommendations and automated location-aware campaigns, companies like GSMA Mobile World Congress, Ogilvy, Port Aventura and Bankia can develop a more effective communication with their customers across the mobile channel. MOCA is based in Barcelona and has representatives in Madrid and San Francisco. MOCA is a trademark of InnoQuant.